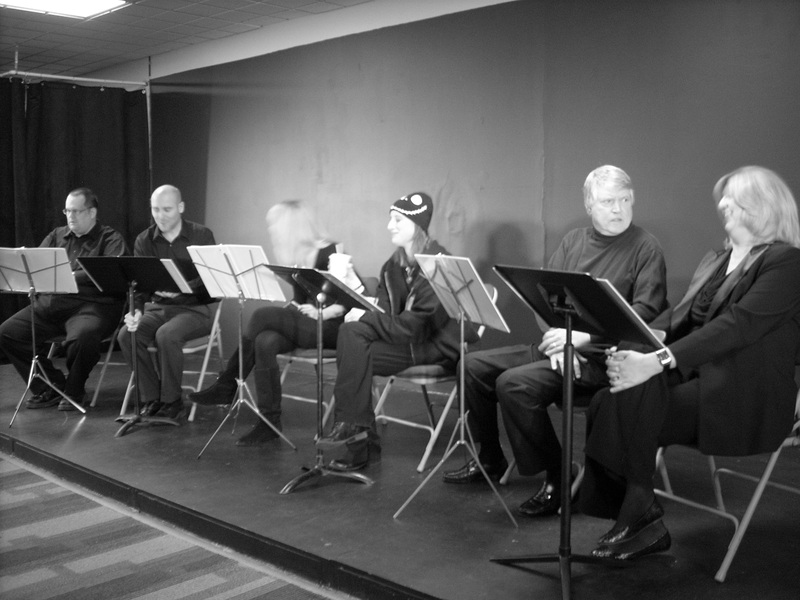 And so concludes the saga of the staged reading of Below the Surface by the North Canton Playhouse. Last night–the night of the reading’s single performance–was both more and less than I had expected it to be. The house was quite full and the cast performed at full throttle. I could sense them wanting to leave their chairs and take wing as the characters they were playing. The intensity of this admittedly dark and grim play was palpable thanks to their dedication and commitment. I have only the best to say about them. After twelve years of hard work, especially in the beginning, they helped BTS realize its full potential, even without staging or props or sets. So, the experience proved a positive one, even if it wasn’t how I pictured it when NCP first told me, about a year ago, that they were interested in doing BTS as part of their 2010-2011 season. Yes, I had visualized it as a full-scale production, complete with sweeping stairway and atmospheric lighting. Yes, I was disappointed when the December audition failed to yield the actors necessary to pull it off (with a couple of exceptions who eventually wound up in the reading version). But the final result was about as good as I could have hoped for. And again, my gratitude for this is entirely with the cast. My hope is that a full production may be in the offing within the next year or so, perhaps even with the same people as the reading; at least some of them. This entry was posted on Monday, February 21st, 2011 at 2:10 am	and posted in In The Works, Uncategorized. You can follow any responses to this entry through the RSS 2.0 feed.